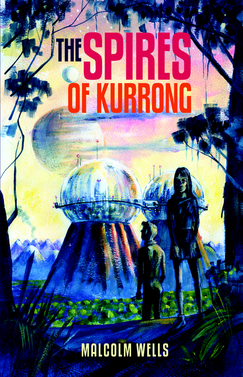 The Spires of Kurrong is a sci-fi/fantasy novel aimed at the YA market. It is set in an alternative universe in a continent divided, with a population inhabiting twin domed spires set atop extinct volcanos. For generations they have been unaware of the population and happenings on the planet’s surface, led to believe that it is inhabited by Daemons. However, when doomed lovers Markus and Filona risk everything for a new life on the surface, they soon uncover more about the two communities, unravelling everything they have been taught to believe. The novel spans some big themes, from race, class, war, morality and the interesting inclusion of the drug trade, to loyalty and deception. For such an all-encompassing novel, it feels as though more evocative description is warranted at times, and there is a lot of telling the reader rather than showing. The second half of the narrative appears to move at a pace too fast to really develop some of the new characters who are introduced. Filona appears frustratingly naïve at times, and it would have been interesting to learn more about her and the tensions that would inevitably ensue in her and Markus’ relationship, which is glossed over at times. Overall, Wells has created an ambitious novel with a compelling premise.